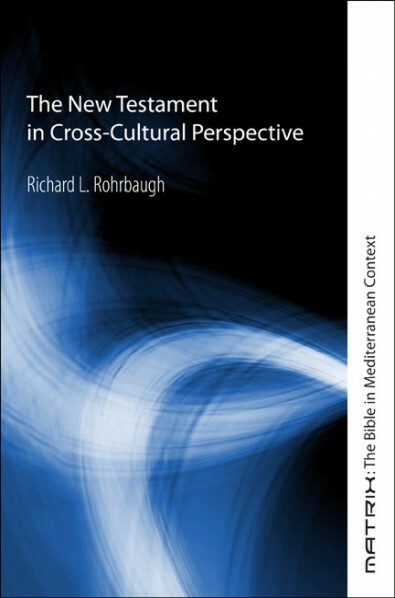 As almost always when reading the Gospels, context is everything! It is easy to take today’s Gospel reading, the Parable of the Great Banquet, as a moralistic lesson about getting into heaven; or as a rejection of the Jewish people, in that racist and anti-Semitic interpretation that has been popular through most of Christian history and continues to endure in many segments of the Christian population. As he is sitting at dinner, he notices how guests compete for the places of honor. He then advises the host to invite the poor, the injured, the lame, the blind, instead of his friends or rich neighbors. Clearly, that advice did not fall on receptive ears, as one of the guests tried to change the subject with a little spiritual interjection: “Blessed is everyone who shall eat bread in the kingdom of God!” A little spiritual outburst is always a convenient way to change the subject when the subject becomes uncomfortable. But Jesus refused to let the subject change so easily. And it is here, after that guest’s outburst that Jesus told the parable we heard today. A man gave a great banquet. Clearly he was a rich man, a prominent man in the city – like the Pharisee at whose house was dining when he spoke this parable. Like the Pharisee at whose house Jesus was dining, the man in the parable invited his friends and rich neighbors. You can tell from the excuses that they were men of some wealth. I could use the parable as an opportunity to talk about excuses and how we use excuses in our Christian lives, but not today. Today something deeper and even darker is going on in this parable. But you will object, that was after the invited guests refused to come! 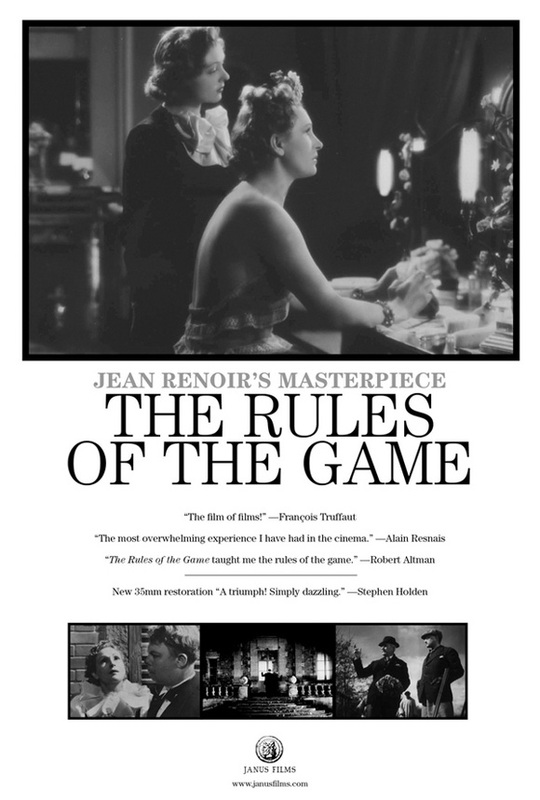 Yes, but what if the man had already shown signs of breaking the boundaries, of ignoring the rules of his social network? 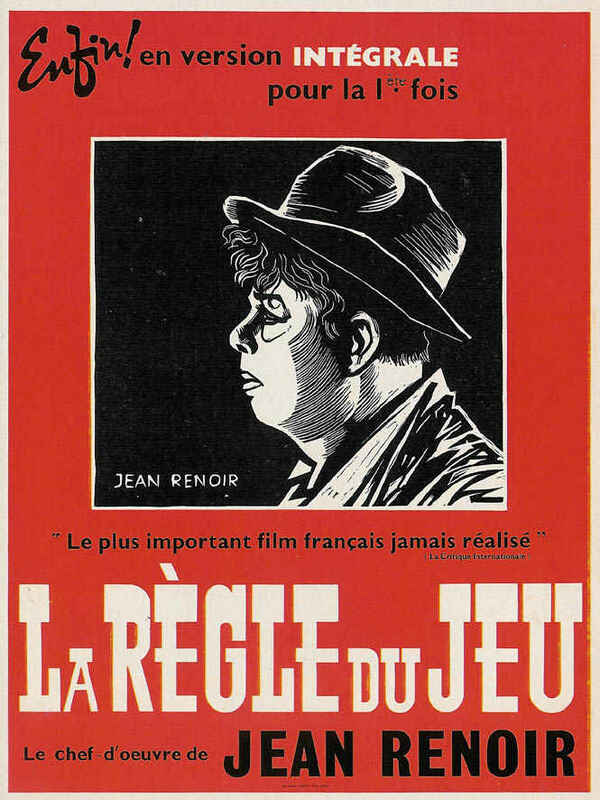 One of the greatest films ever made, La Règle du Jeu (The Rules of the Game, 1939) by Jean Renoir, depicts such a closed society with definite rules. Perhaps the man in the parable had already brought into his home some beggar or unsavory character? Perhaps this man had shown courtesy to a “Lazarus” – unlike the rich man in that other parable that Jesus spoke (Luke 16:19-31). Perhaps he was already suspected of not playing by the rules. And his behavior in this parable simply confirmed their suspicions. As a result, he placed himself outside the circle. But he now placed himself in the bigger, wider circle of God’s own making. The Liturgy is the place where this new community begins. Notice how often Jesus used images of dinners and banquets. Here the walls are broken. There are no divisions, no first and last places. Liturgy is our teacher, our inspiration. Though I decided not to talk about excuses today, think carefully about your own reasons for not participating in Liturgy. 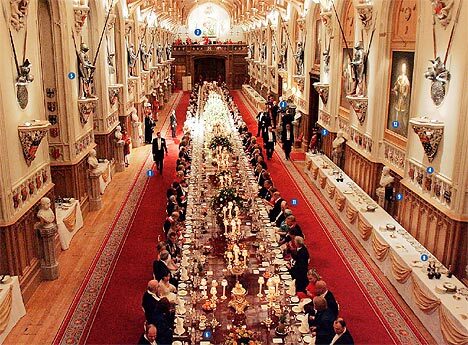 A great banquet hall, but never big enough for God’s idea of a banquet. Categories: Biblical Explorations, Sermons | Tags: excuses, parable of the great banquet | Permalink.